Today is Wednesday, December 23, and we have another Christmas party to go to tonight. Why don’t you make something pretty for Mrs. Karen and Mr. Ed for Christmas. I am sure they will love it and hang it on their tree! We made these cool swirled acrylic paint ornaments!! 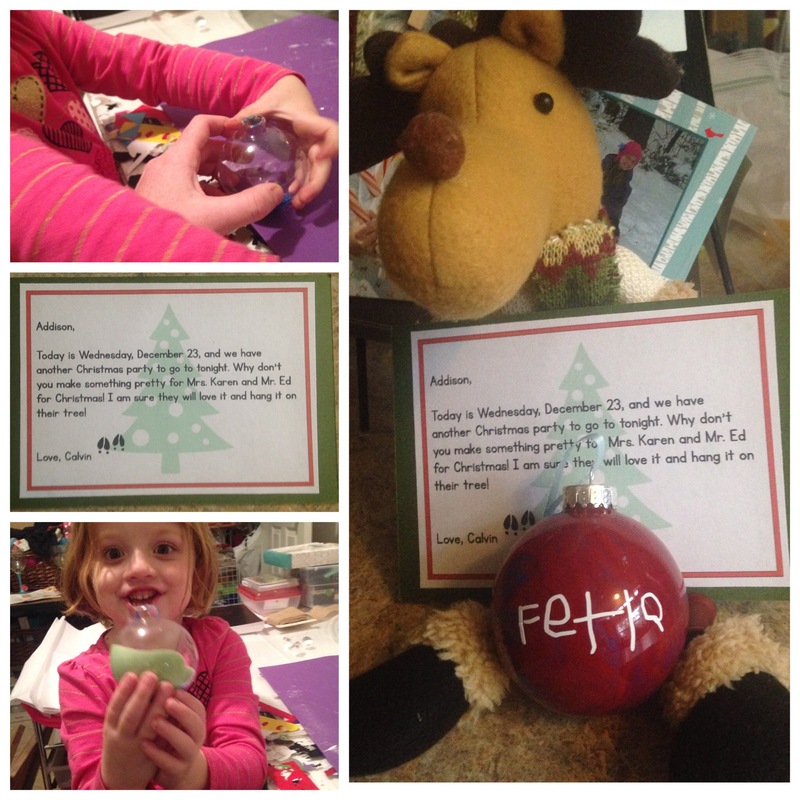 We then put the Fetla’s name on it with vinyl, but it was Addison’s hand writing! It came out super cute!